Designed for an enthusiastic gymnast, this tween bedroom features a set of wood stall bars for stretching and a headboard fashioned from an authentic gym mat. 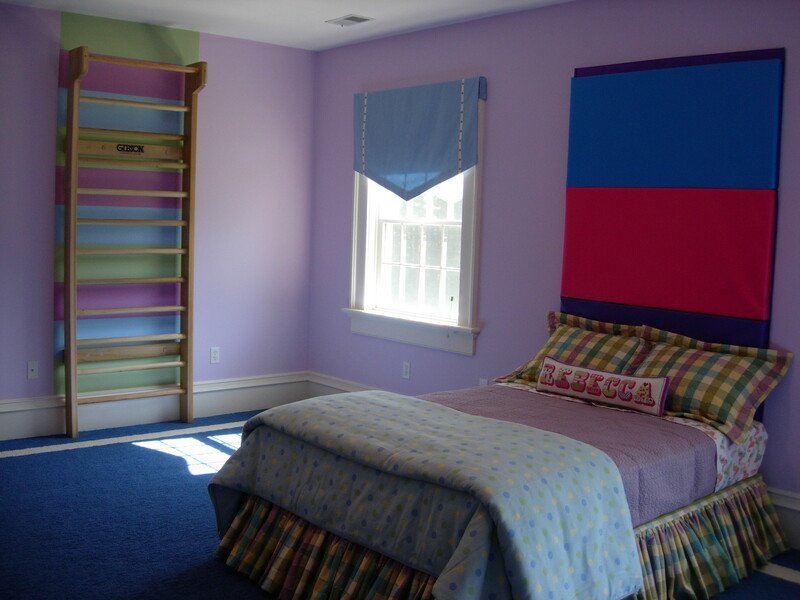 The pennant style window treatments and colorful custom bedding complete the gymnastics theme. 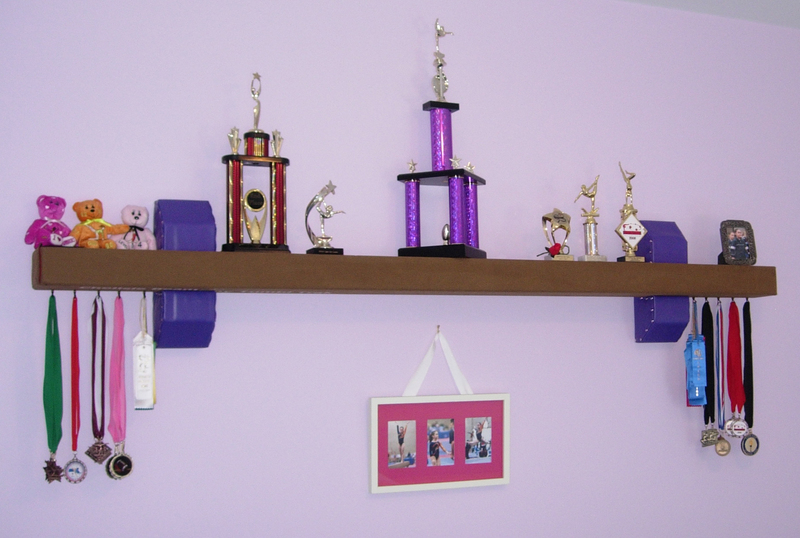 A balance beam was mounted to the wall to display gymnastic trophies and medals.